Gumweeds, genus Grindelia (sunflower family, Asteraceae) are roadside wildflowers, most common in western North America but with a few species in the East and South. 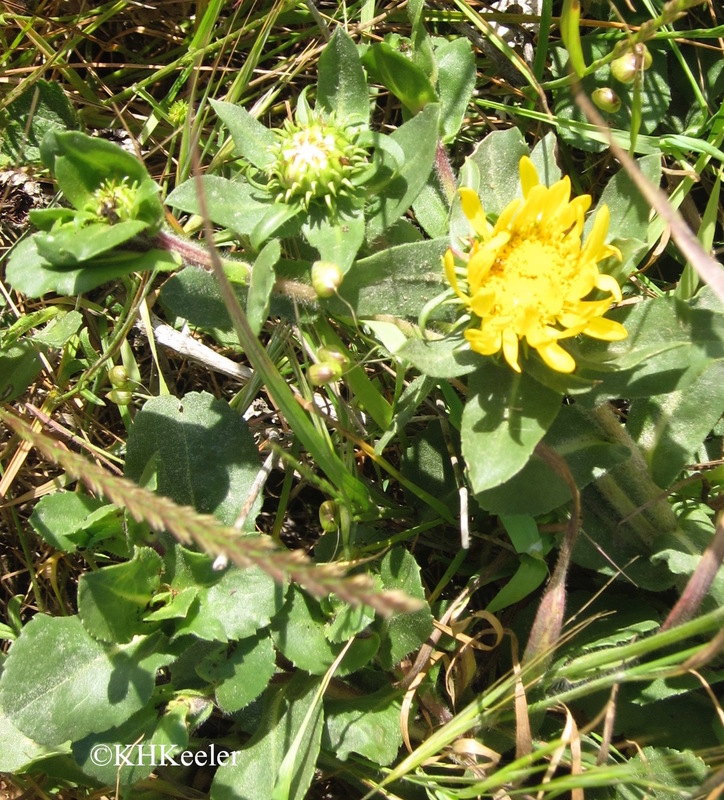 A gumweed is easy to recognize: note the funny spines around the flower buds (especially visible in the picture below). In addition, gumweeds are gummy--if you touch the buds or flowers, sticky stuff comes off on your fingers. But there is a lot more to gumweeds. A farmer's market gathers each Saturday in Honolulu, just below Kapi'olani Community College. 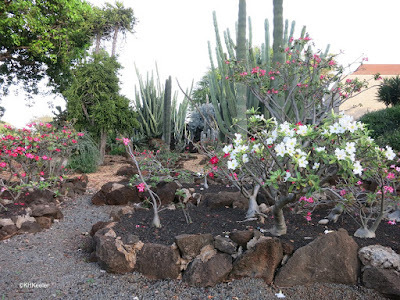 It was fun shopping there: macadamia nuts, kona coffee, guavas, pineapples and chocolates. 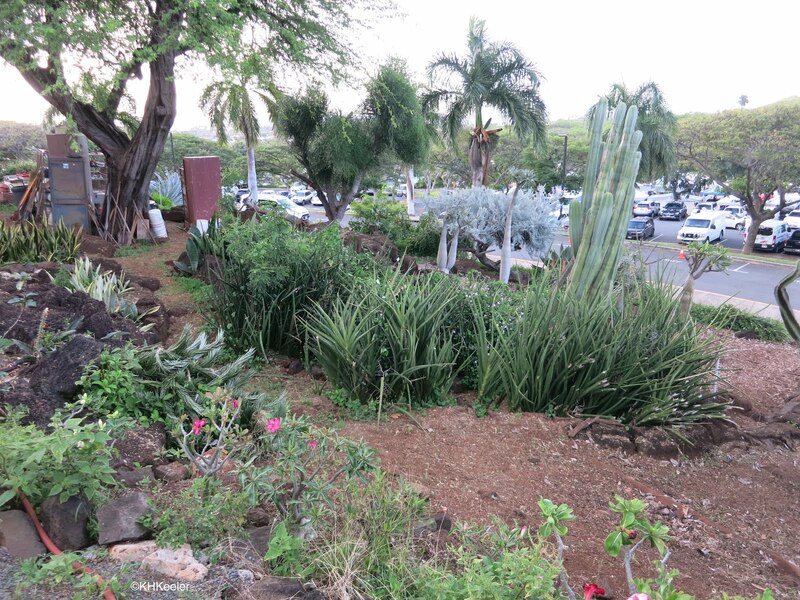 But I was distracted and spent most of my time in the garden behind the farmer's market, Kapi'olani Community College's Cactus Garden. 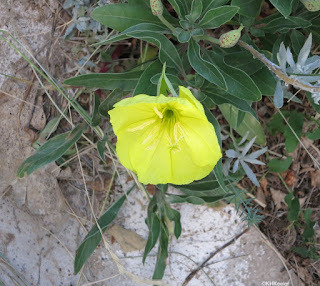 There are 145 species of evening primrose, Oenothera, 80 of them native to the United States.While there are more different species in western North America, the common evening primrose, Oenothera biennis, can be found in all but the Rocky Mountain states. Evening primroses have big flowers. If you find them open after 7 am or before 7 pm, the flowers are likely yellow. Night-flowering species are often white and close in daylight, so if you are to see them open you need to go out in twilight, wander with a flashlight or get up early. On a cloudy morning they stay open longer, but the white species tend to grow in drier places, where cloudy mornings are less common. 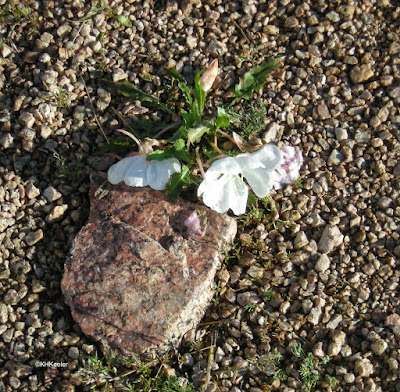 An evening primrose seen in southern Wyoming. I knew almost nothing about Australia when I read and loved Nevil Shute's A Town Like Alice. So, like generations of tourists, when I visited Australia, I was eager to see Alice. 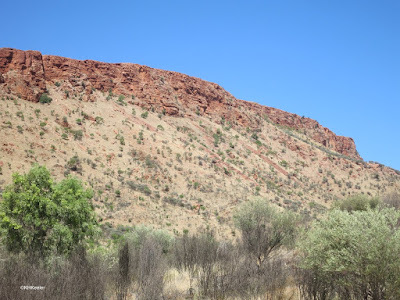 Alice is of course, Alice Springs, a small city in the center of Australia. Australia, the world's smallest continent or largest island, is generally warm and dry. 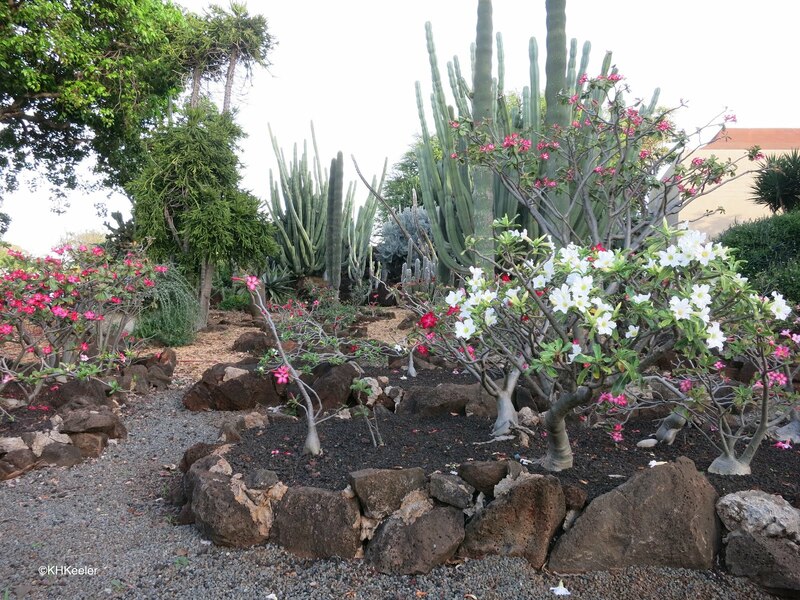 Alice, in the center, is in the middle of the sort of desert where they tell you in October, "before this week, our last good rain was in January."